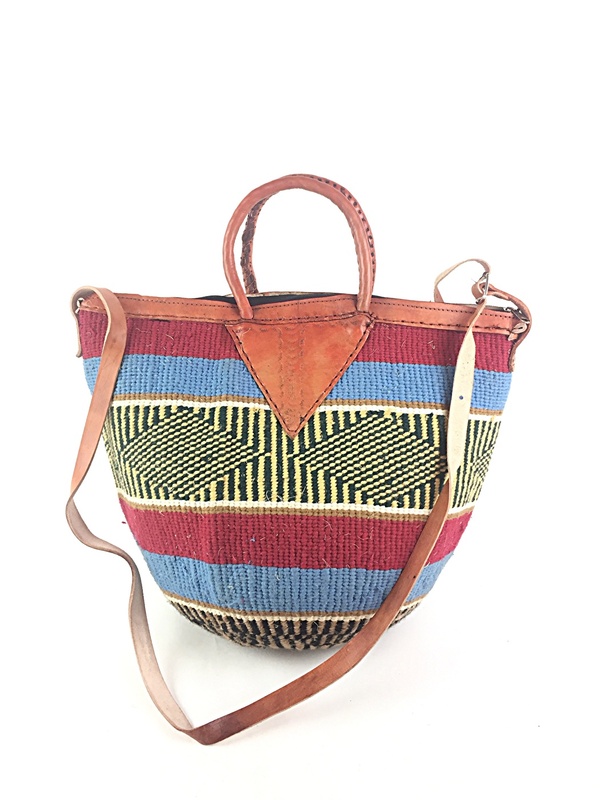 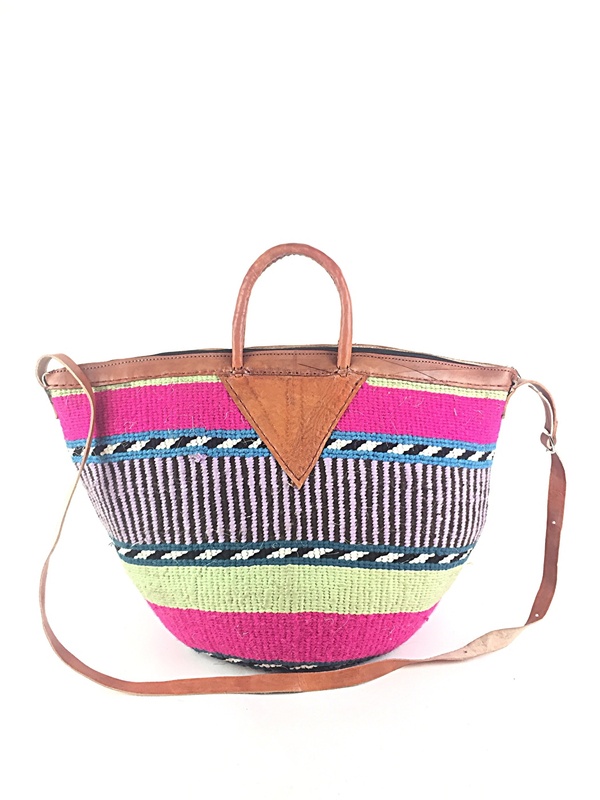 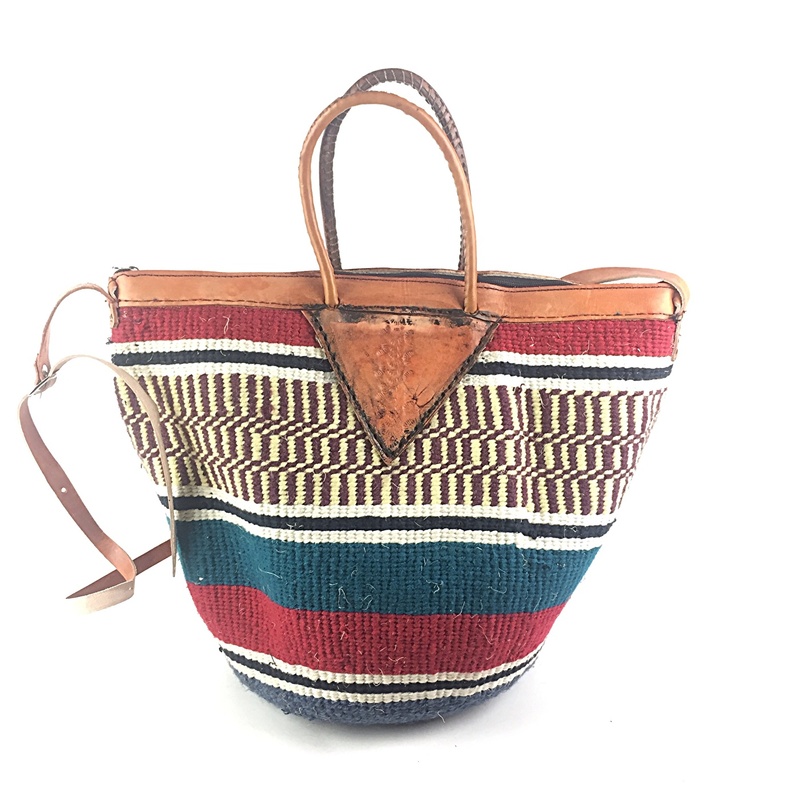 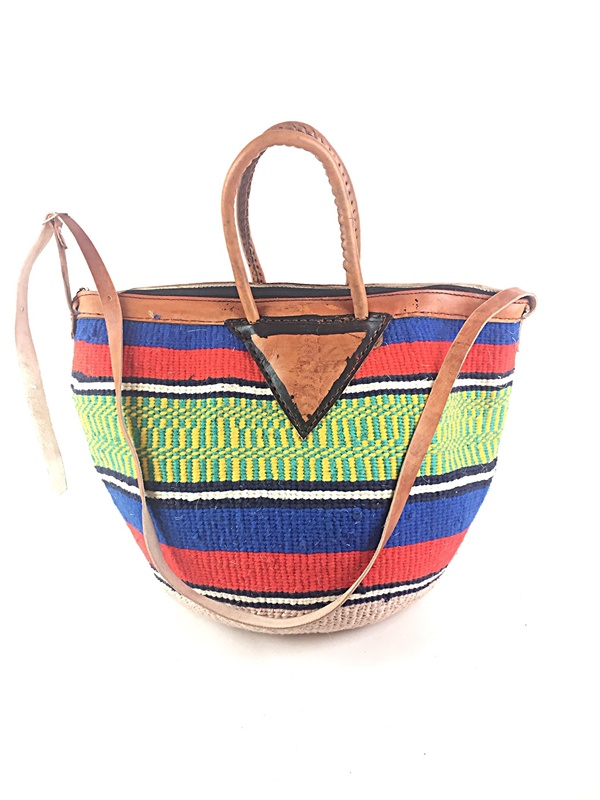 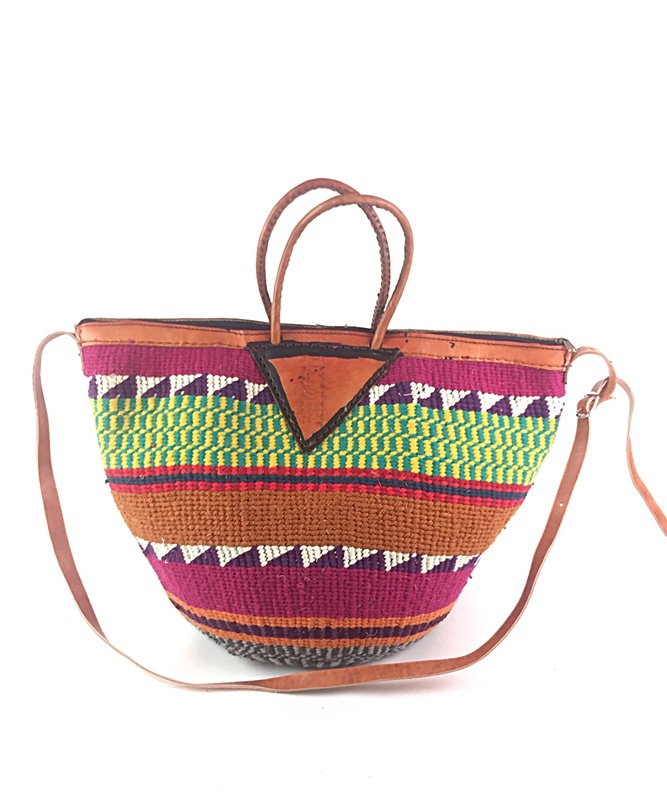 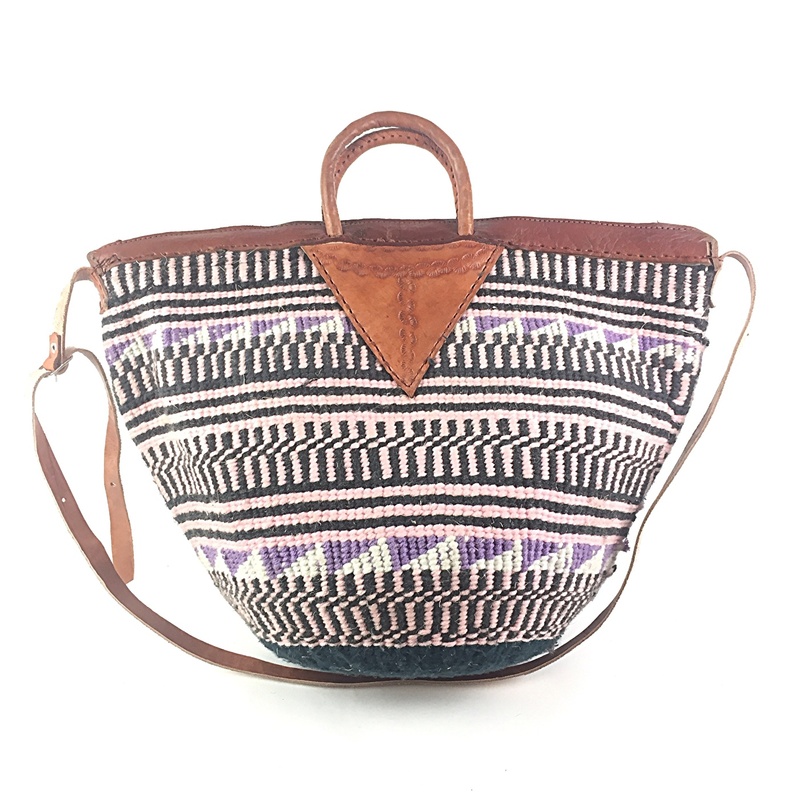 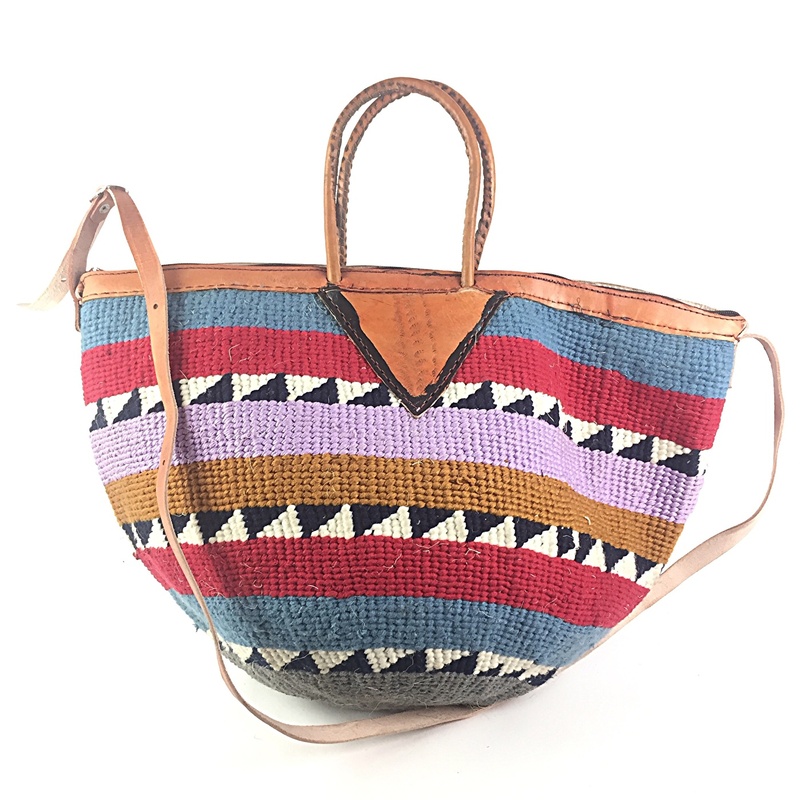 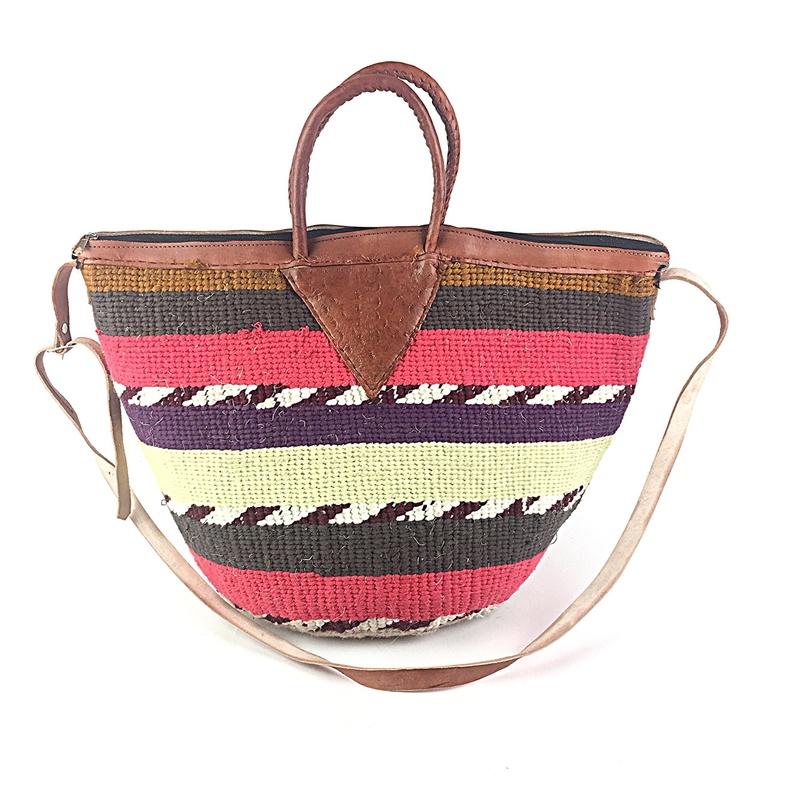 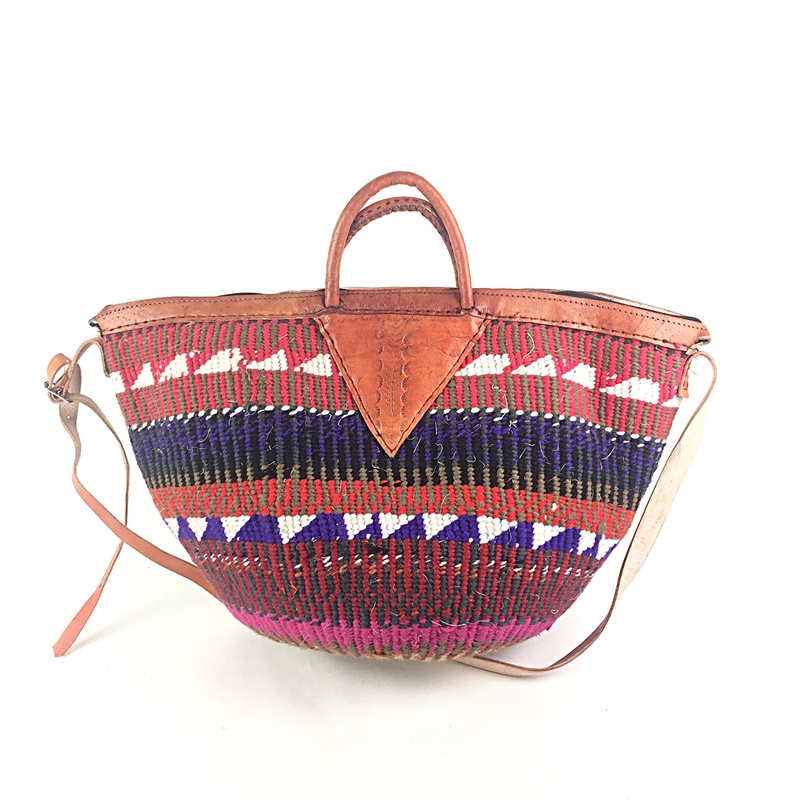 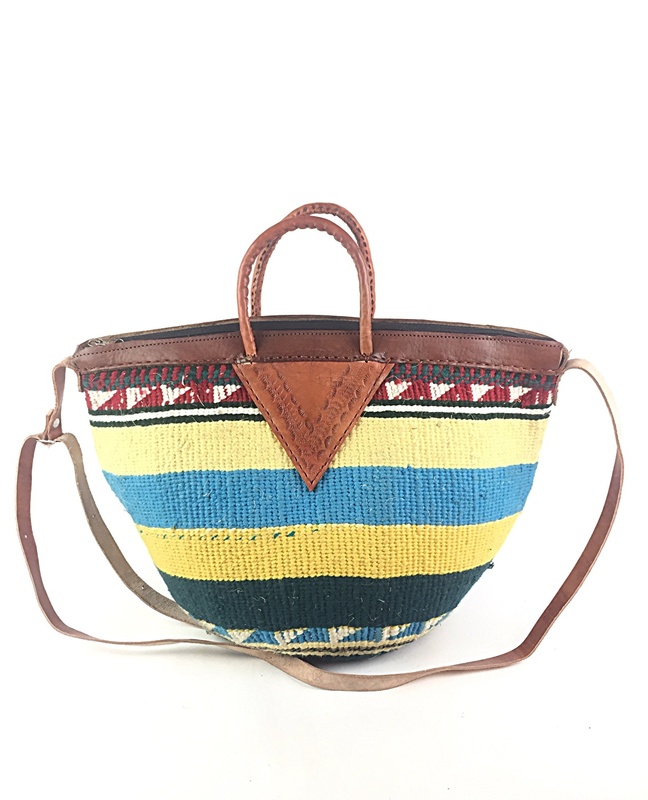 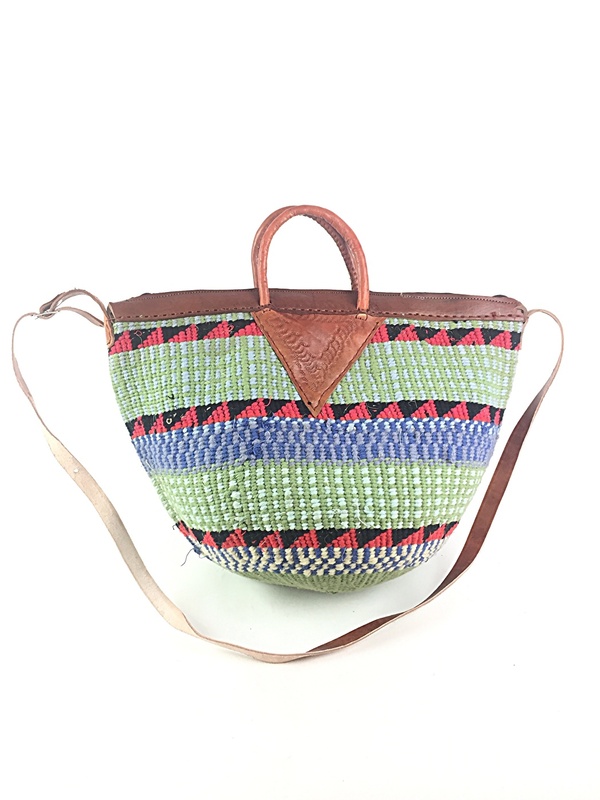 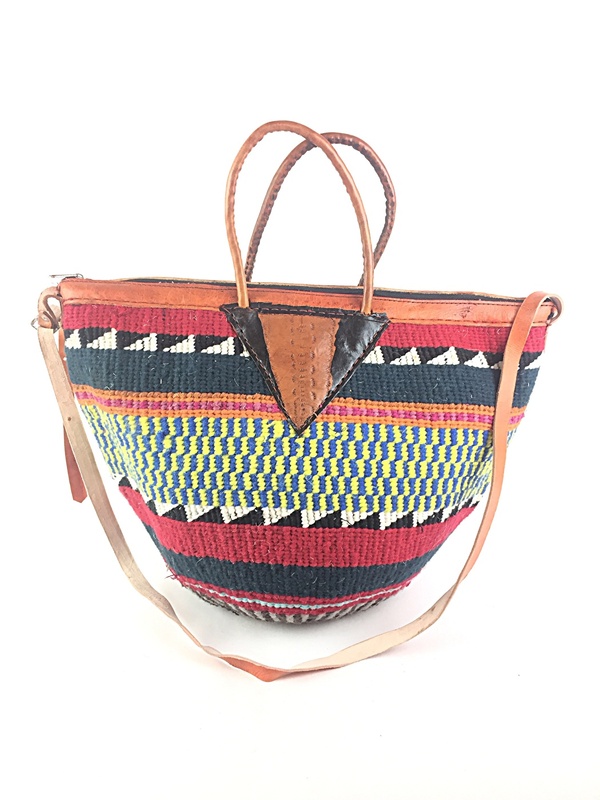 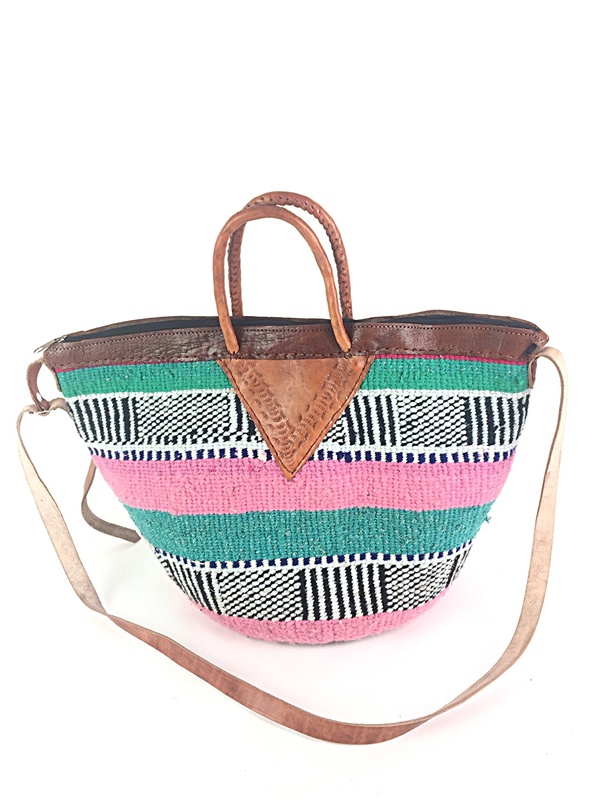 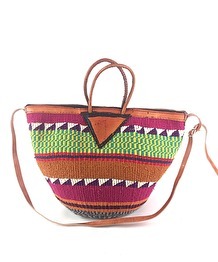 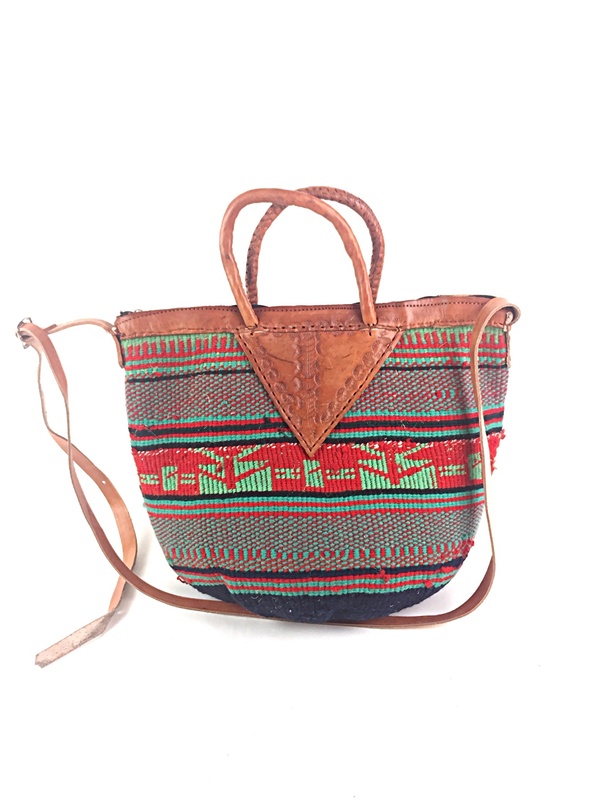 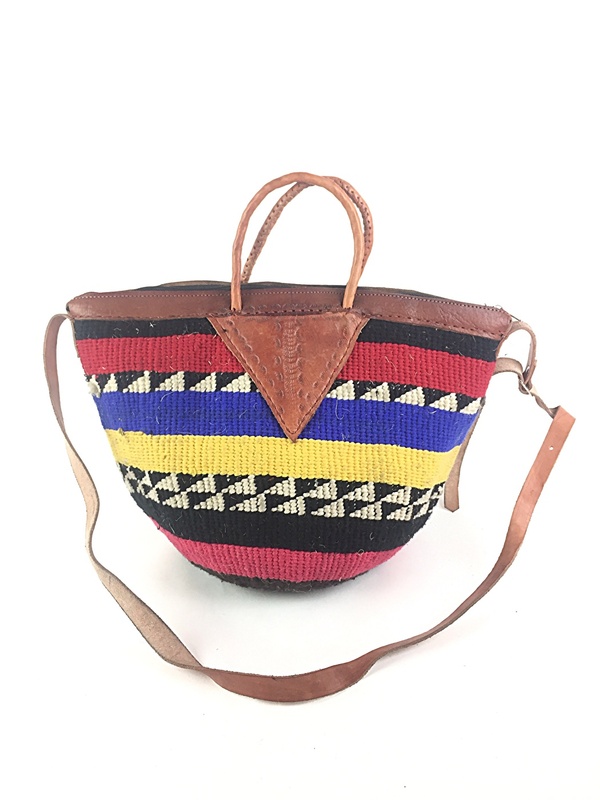 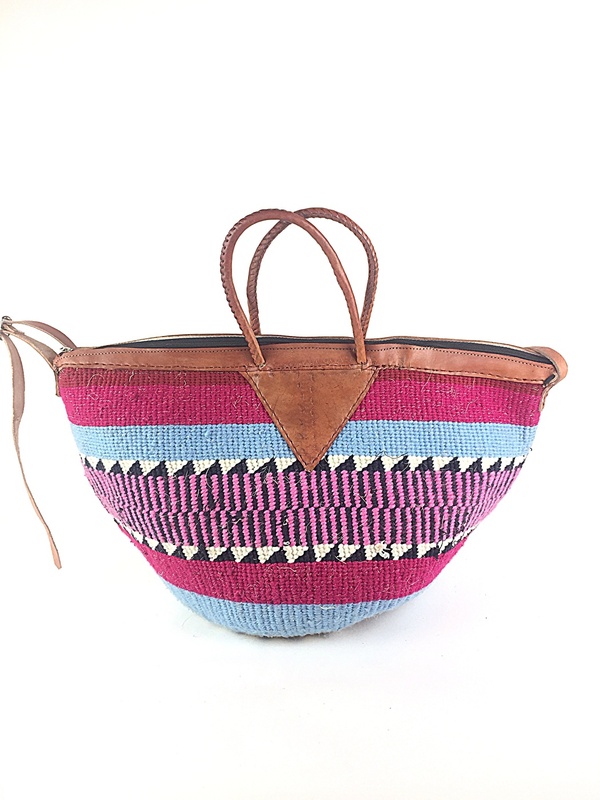 OUR AKAMBA HANDBAGS ARE HANDWOVEN FROM SISAL GRASS AND WOOLEN YARN, BY AKAMBA WOMEN'S SELF HELP GROUP. 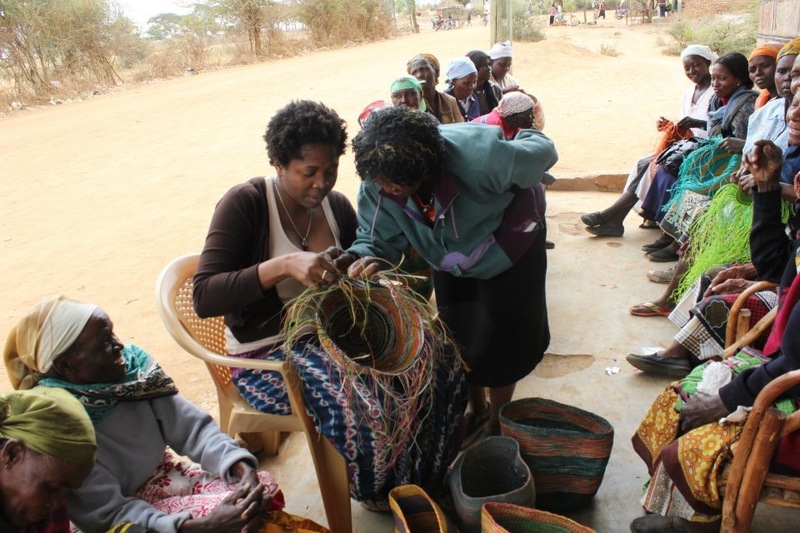 THIS IS A 25 GROUP OF WOMEN WE FOUND IN KIKUI SOUTH EASTERN COUNTY,ON OUR FIRST TRIP TO KENYA IN 2011. 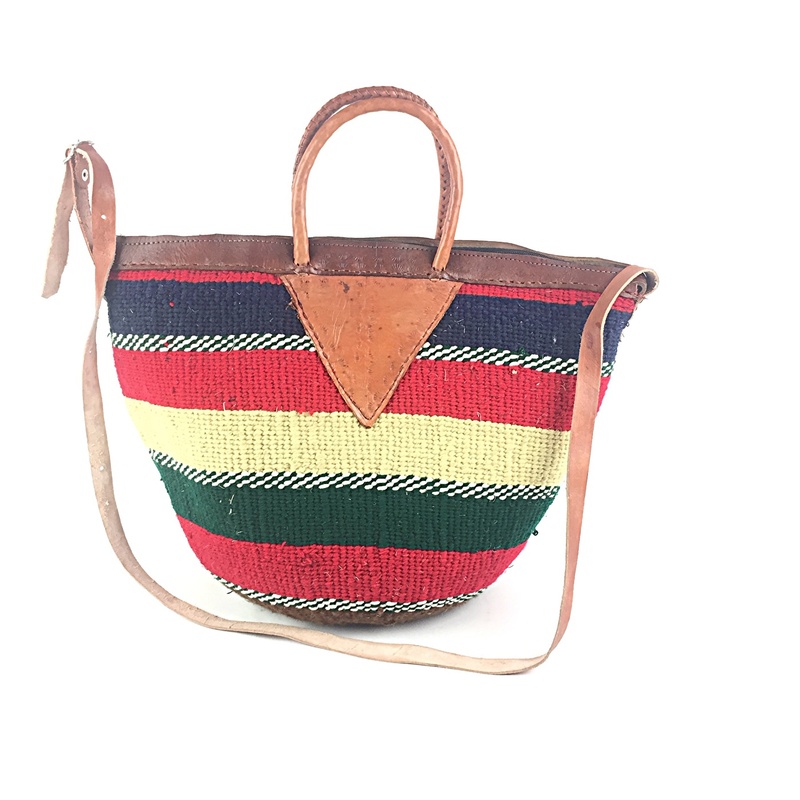 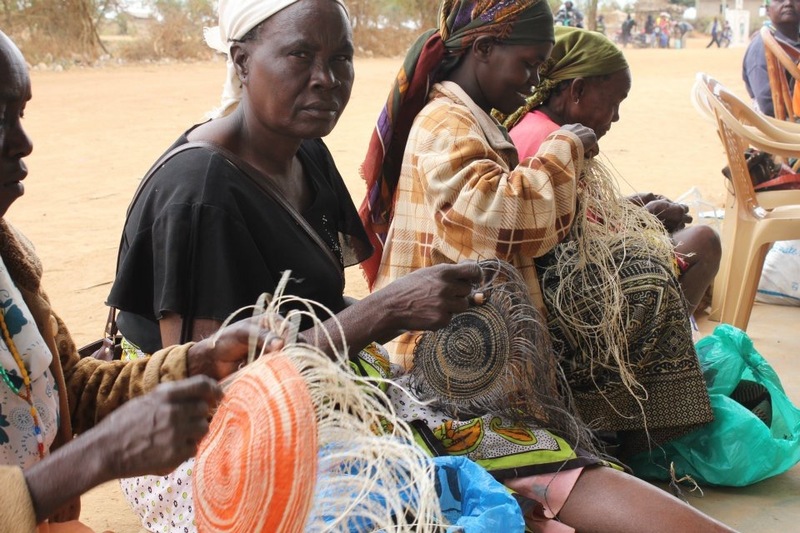 WE STILL WORK WITH THESE WOMEN TILL DATE, TO SALE THEIR HANDMADE BASKETS AND BAGS. 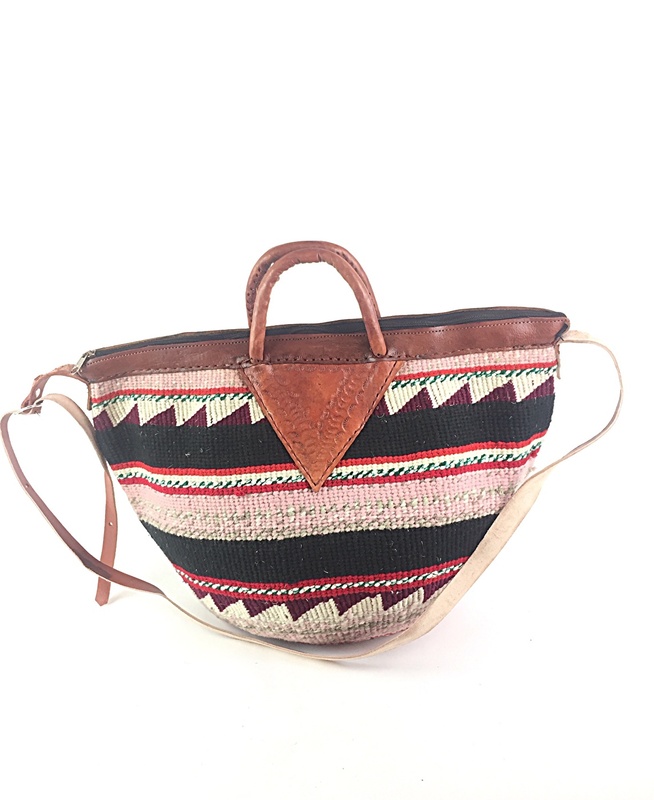 SIZE IS APROCIMATELY 38 WIDTH , 45 FROM BOTTTOM TO HANDLE.